The launch of our Future Leaders Legacy Fund, a new scholarship program, is already changing the trajectory of Africa’s young people. The Legacy Fund provides smart, yet under-resourced African students, with an opportunity to earn a bachelor’s degree at top-performing African universities. Our scholars are the first in their family to attend university. The Legacy Fund’s inaugural partner institutions are Ashesi University, Accra, Ghana; United States International University (USIU-Africa), Nairobi, Kenya; and UNISA – The University of South Africa, Pretoria, South Africa. Meet some of our AAI Scholars! 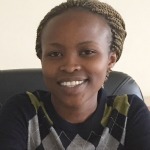 Patricia Lekhale, a young woman from the Samburu region of Kenya, is attending the United States International University in Nairobi, Kenya. Not only is Patricia a top student, but she is using her skills and talents to give back to her community by volunteering as a teacher at a local primary school, which has only four trained teachers. She committed herself to volunteer teaching because she wants to be a role model to the young girls attending that school. 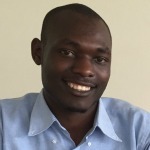 As the son of unemployed peasant farmers in rural Kenya, Yaros Ogoncho’s family lost their home and all material possessions during the election crisis of 2007. 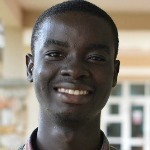 This bright, young man was able to overcome his difficult circumstances to become the only child out of four siblings to attain the required grades to enter university. With support from the Legacy Fund, Yaros entered USIU in the fall 2015. The Legacy Fund seeks to raise $2.5 million to send 300 African students to the best universities and technical schools that Africa has to offer. Learn more about how to support the Future Leaders Legacy Fund!